Located 1 km from the city centre, this motel in St. Andrews, New Brunswick offers free Wi-Fi and a fridge in every room. The St. Andrews Tourist Bureau is just 1 minutes’ walk away. Relax after a day of travelling or exploring.17 unit motel located within walking distance of St Andrews.L shaped court has an apple grove and shady umbrellas in the centre courtyard. 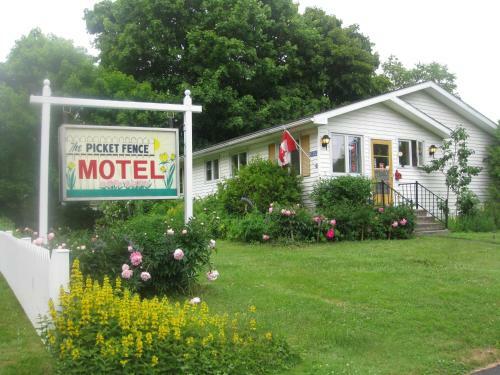 The Picket Fence welcomes you with clean and comfortable, air conditioned accommodations at a reasonable price. Visit us at www.picketfencenb.com . What a way to start off the season! This is what we do in March! So much to see and do in our Town in December!